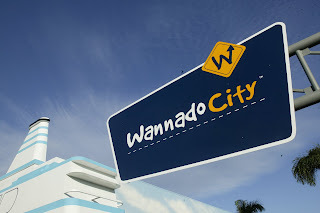 Wannado City, America’s first indoor role-playing theme park for kids based in South Florida, has recently opened M-Lab. Created by Motorola, M-Lab emplowers young visitors to discover a career in innovation while touching upon science and technology in a high-tech, highly immersive environment. Designed by Gensler for children ages 8-12, the Motorola M-Lab simulates a scientific laboratory. Each visitor plays the role of an M-Ventor(TM) tasked with helping different organizations solve difficult problems using technology, teamwork and innovation. Assigned a sub-role within the M-Ventor teams, children must work together using an interactive video game to solve the problem. Located in South Florida’s Sawgrass Mills, the state’s largest mall and the number two tourist destination in Florida, Wannado City is an indoor 140,000 square-feet facility — the size of three football fields. Here, “kids can do what they Wannado”(TM), enabling children to experience a variety of occupations, from fire fighter to doctor to airline pilot.